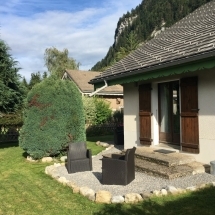 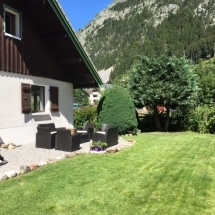 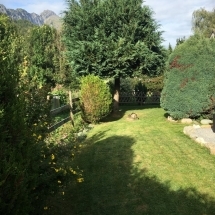 The Garden of Chalet Alys is reasonably spacious and has fabulous views to the mountains all around. 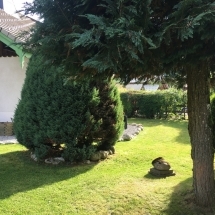 Please take a look at the photographs. 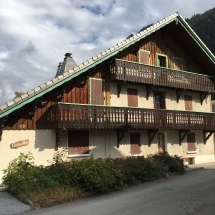 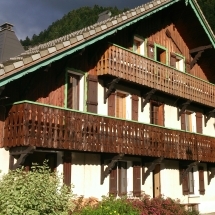 The balcony is situated to the rear of the Chalet and in accessed in summer by a first floor door. 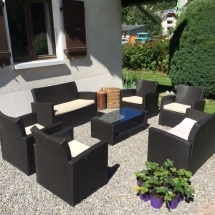 Here there is seating for four people at a stylish metal table.